The year 2010 is important for Canada’s Korean War veterans in more ways than one. It marks the 60th anniversary of the start of the war, and it is the first year that veterans have been honoured with their own “day”—Korean War Veterans Day on July 27. That date marks the ceasefire of the three-year war that prevented communist North Korea from absorbing the Republic of Korea (now South Korea) after its forces invaded the south in 1950. Terry Wickens, president of the Korean War Veterans Association of Canada, says he’s “ecstatic” that Canada’s Korean War vets have been honoured in this way. “This is the first time we’ve been recognized officially by the Government of Canada,” he says. Such recognition is especially important for veterans of what has become known as the “Forgotten War,” so called because it was deemed a conflict more so than a war, had fewer casualties than the world war that preceded it, and ended in a stalemate rather than a triumphant victory. “It was too close to World War II, nobody wanted to know anything about it really. Then came Vietnam which was a television war, and they got so much coverage on TV that Korea was forgotten,” Wickens says. When introducing the motion in April for an annual day of recognition, Senator Yonah Martin, who is of Korean descent, thanked all veterans of the Korean War. “I owe them my very existence, as do my parents and every person of Korean descent in the world today. On behalf of all of us, please accept our deepest gratitude to you, our unsung heroes of democracy and freedom, and for the sacrifices of your fallen and departed comrades,” she said. Sixteen U.N. member nations joined to help South Korea under the command of the United States, while China and Russia backed the North. In all, roughly 2.5 million died. Of the 34,000 Canadians who served, 516 lost their lives and more than 1,500 were wounded. The Canadians were involved in several important battles, including the battle of Kap’yong. There, although outnumbered, along with their Australian comrades they succeeded in preventing a Chinese breakthrough that would have resulted in the recapture of Seoul. For this, Princess Patricia’s Canadian Light Infantry received a U.S. Presidential Citation, the only time a Canadian unit has ever won such an award. Although devastated after the war, Korea has gone on to become a major player in the industrialized world and now stands among the G20 countries. “South Korea has come a long way since the war,” says Wickens, who fought with the British Royal Signals. Since 1975, the Korean government has been inviting veterans and their families to Korea—all expenses paid—as a thank-you and to promote the country’s post-war prosperity. Since then, a total of 26,000 people have visited up to 2009. This year being the war’s 60th anniversary, allocations have been quadrupled and some 2,700 are expected to visit between April and November. Also this year, South Korea’s president, Lee Myung-bak, plans to send a letter of gratitude to every surviving Korean War veteran. Korean Veterans Associations (KVA) in the 21 countries that participated in the war are currently trying to locate unregistered veterans. An estimated 12,000 Canadian Korean War veterans are still alive, most of whom are in their 80s. Events will take place in several cities on July 17. 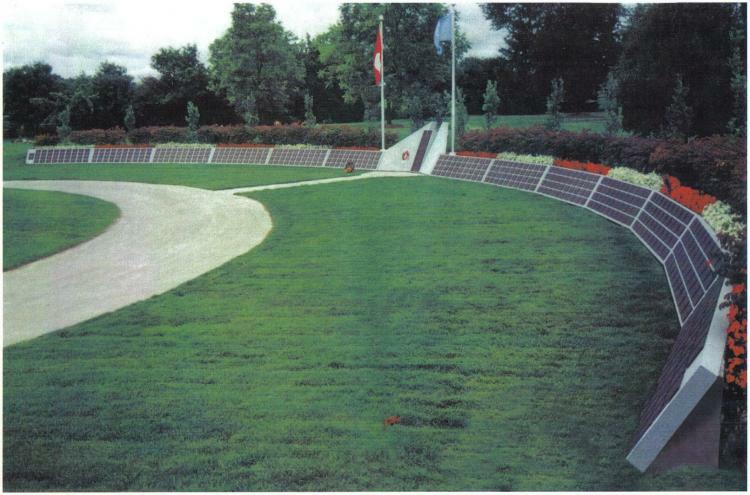 KVA plans to hold a major national service at the Korea Veterans National Wall of Remembrance in Brampton, Ontario.